The Maritime Self-Defense Force and the Chinese navy plan to resume mutual visits by their vessels for the first time since 2011, as they step up defense exchanges to prevent inadvertent maritime clashes, Japanese government sources have said. 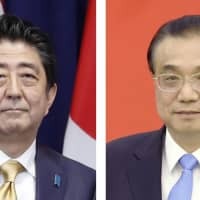 The restart is set to be agreed when Prime Minister Shinzo Abe meets with Chinese Premier Li Keqiang during his three-day trip to Beijing from Thursday, the sources said Sunday, as bilateral tension remains over a group of Chinese-claimed, Japanese-controlled uninhabited islets in the East China Sea. Japan may invite a Chinese warship to the MSDF’s naval review set to be held around next October, one of the Japanese government sources said. 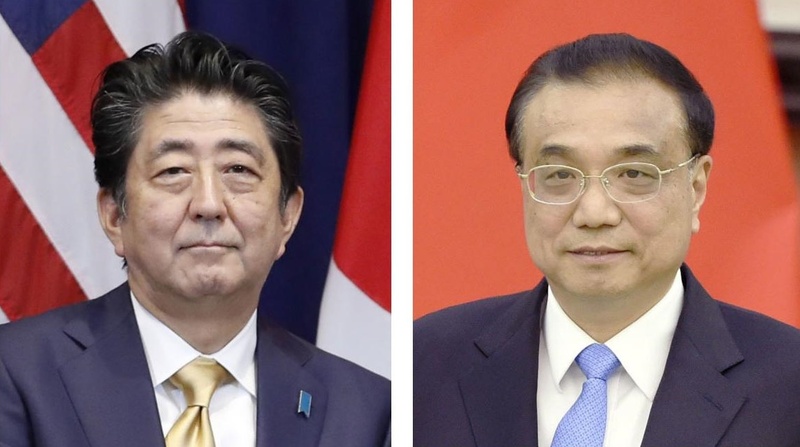 Japan and China launched a bilateral communications mechanism in June, and during Abe’s visit they are also set to sign an agreement to facilitate cooperation on search and rescue operations in waters off the two countries, sources said earlier. China is involved in a number of trade and military disputes with the United States and it “has (always) improved relations with Japan whenever ties with the United States have worsened,” a Chinese political scientist said. Such visits by naval vessels were first agreed in 2000 by then-Prime Minister Yoshiro Mori and then-Chinese Premier Zhu Rongji to facilitate bilateral defense exchanges. MSDF destroyers and Chinese warships made mutual visits from 2007 to 2011, but the exchanges came to a halt when the Japanese government put the Senkaku Islands in the East China Sea, called Diaoyu by China, under state control in 2012, straining bilateral ties. Chinese vessels have frequently intruded into Japanese waters around the Senkakus since that time. “In light of mutual understanding and confidence building, defense exchanges are very important,” Defense Minister Takeshi Iwaya said Friday at the outset of talks with Chinese counterpart Wei Fenghe in Singapore. “I’d like to take this opportunity to pave the way for a full-blown improvement of Japan-China defense exchanges,” he said, in the first official meeting between Japanese and Chinese defense ministers since November 2015 — the latest sign of warming bilateral relations. The Beijing trip will be Abe’s first visit to China to primarily discuss bilateral issues, rather than attend international meetings, since he returned to power in late 2012. Timed with the 40th anniversary of a peace and friendship treaty between the two countries taking effect, his trip will include a meeting with Chinese President Xi Jinping.